veryone knows the Mad Scientist — the white hair; the lab coats; the endless shouting and cackling; the lightning, oh, god, the lightning. Over the last 200 years, Mad Scientists have been a consistent trend in pop culture, transforming and evolving to fit our changing fears of and respect for technology, science, and the human body. As technology and science became more accepted in our culture, the tropes of the Mad Scientist have shifted. Dr. House and Robert Downey, Jr’s Tony Stark have redefined what it means to be a snarky and obsessed scientist. They are Maverick Scientists, and they have all the traits of a Mad Scientist, but they exist within society, pushing the boundaries of science without considering the risks. Their obsessions and addictions hinder them—as does their disregard for morals, ethics, or patience. But why are they here? From "The Knick", born of germ panic and shifting healthcare economics, to The Social Network's mythologizing and idolizing of big tech entrepreneurs, here's the history and context behind some of pop culture's recent Mad Scientists. 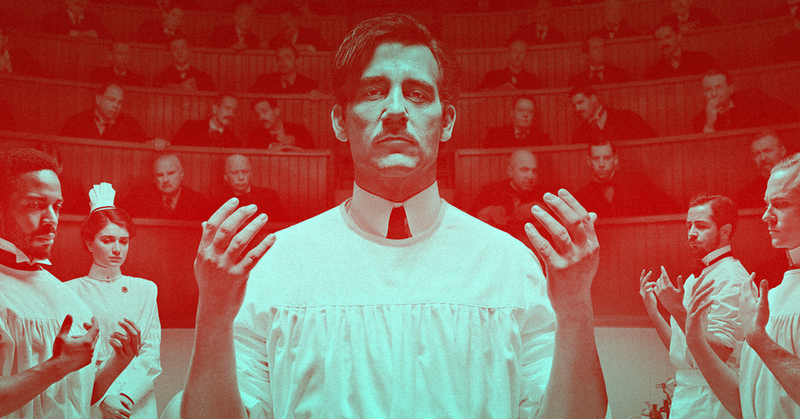 Some diseases never get cured, and on Steven Soderbergh’s "The Knick" this proves doubly so. While the turn-of-the-century Knickerbocker hospital depicted on the series struggles to stay afloat and solve the problems of 1901, viewers will notice that most of these issues still linger today. In addition to practicing medicine that’s revolutionary for its time, such as blood transfusions, cesarean sections, and using a newfangled device called the X-Ray, Soderbergh uses Maverick Scientists to fight the plague of American healthcare: cost. In America, health is among one of the most debated, controversial, and expensive businesses of the day. The last few years alone saw the Affordable Care Act, the Republican witch-hunt of Planned Parenthood, and the Ebola outbreak. Many of these issues came down to who is going to pay for these programs that help the poor and vulnerable. "The Knick" parallels those with the concerns of the early 20th century. Dr. Dominique Bregent-Heald, associate professor of history at Memorial University of Newfoundland, explains, “The health concerns in urbanizing society would have been infectious diseases and contagions, such as influenza, typhoid, whooping cough, and tuberculosis. Cities grew quickly and without the necessary infrastructure (e.g. little access to clean water, mediocre sewer systems, overcrowding, lack of hygiene/sanitation) that accelerated the spread of disease.” While the hospital board decides whether to help the people subjected to these conditions, Thackery gets to work. But Thackery doesn't warn us about the fears of modern healthcare in America—we already know those. He represents something we all wished we had: a solution. Dr. Thackery makes hard and risky decisions, despite poisoning himself with heroin and cocaine in the process. In many ways, he offers a darkly ironic and potent metaphor: the only thing that can save us is as sick as we are. Frankenstein hits all the tropes we’ve come to expect: The doctor distances himself from the mainstream scientific community, has a complicated and destructive fear of women, and, oh yeah, he has a major God complex. But just as he transformed from Victor to Henry over the course of 100 years, the character continues to change with the times. “The novel and character still interest us because the Mad Scientist, monster, and vampire morph during different historical moments and in different cultural contexts, to address the most alarming social anxieties of the day,” says Dr. Sadoff. Over the last fives years, screenwriter Aaron Sorkin has taken it upon himself to tell the stories of two of technology’s biggest success story: Steve Jobs and Mark Zuckerberg. Both Steve Jobs and The Social Network didn’t necessarily tell the story of benevolent creators. Through a mix of updated Mad Scientist tropes and snappy dialogue, Sorkin helped solidify the Maverick scientist of the digital age. 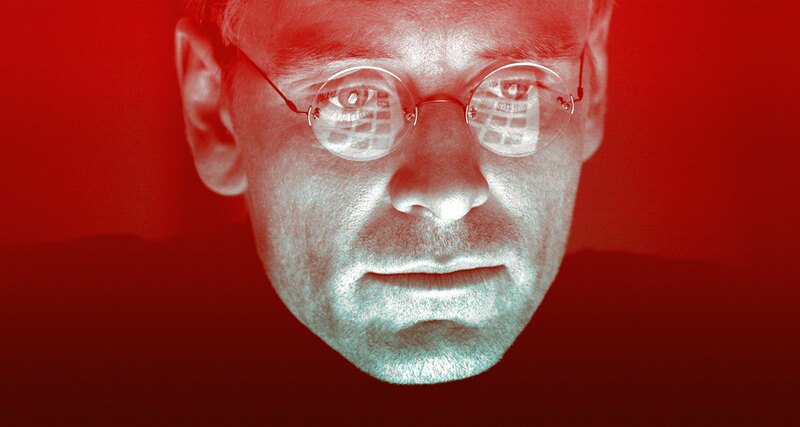 The film versions of Zuckerberg and Jobs play on the idea that these two innovators in communications can’t communicate with the people around them. According to Dr. Aaron McCright, Associate Professor in Lyman Briggs College, the Department of Sociology, and the Environmental Science and Policy Program at Michigan State University, the idea of the outsider scientist isn’t far from reality. Much like how Dr. Frankenstein locks himself in the lab, so to do Jobs and Zuckerberg, albeit in updated or metaphorical settings. Zuckerberg has his dorm room, where he can blog about his ex-girlfriend, and Jobs has his own deluded relationship with his estranged daughter. Not only does this show their isolation, but also their fear of women. Forcing humanity to evolve has always been at the heart of the Mad Scientist. They break some ethical scientific code and everything goes wrong. In the world of the Maverick Scientist that isn’t necessarily the case. The Social Network and Steve Jobs tell the origin stories of the biggest technological breakthroughs of our time, which come at a tremendous personal cost to their respective creators. That doesn’t mean the iMac or Facebook doomed the world despite what many believe, including characters in the film, who claim the creators are crazy, manipulative, and dangerous. Zuckerberg and Jobs scare other characters, because they aren’t afraid of changing the world. 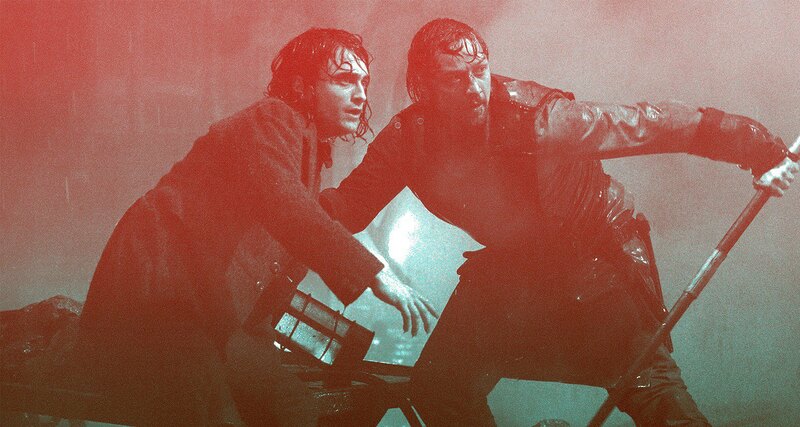 Both characters, however, share the same point that puts them in the same camp as Thackery: they are disruptors in the system, forcing people to face their fears of technology and science. Their science scares people, but that doesn’t make them inherently malevolent. The Maverick Scientist engages with the dangers of the future without giving people, including themselves, time to process it. 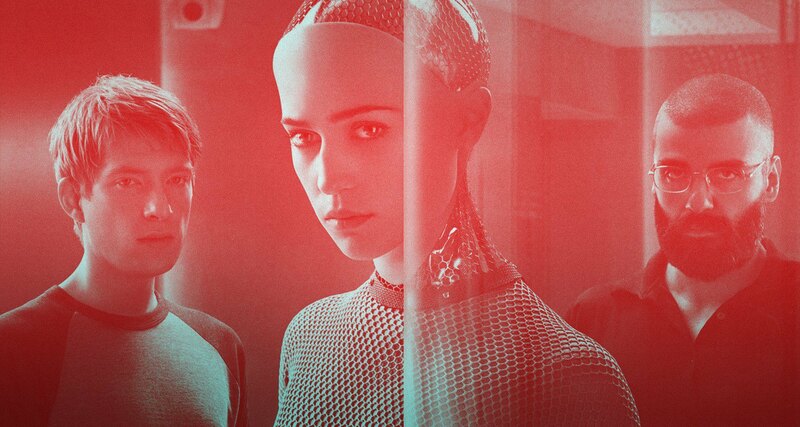 Ex Machina updates the tradition of Mad Scientists. Frankenstein deals with a scientist of the past abusing his power. For readers, this creates a “conflict and interest by taking scientific principles or ideas and pushing them to an extreme,” says Dr. Ferguson. Ex Machina exploits the extremes of digital technology almost from its initial frames. Nathan abuses his power, exploiting the data from Caleb’s web activity to profile him and create Ava in Caleb’s image. For Caleb, to fall in love with Ava, only to find out that she’s been built to fall in love with him shows off Nathan’s power. Data allows Nathan to manipulate and play God, and when Caleb finds out that Ava’s connection to him was a fabrication, it sends him into a tailspin. Ex Machina offers a bitter indictment of Maverick Scientists. They use their cool, their arrogance, and their wit to supercede checks and balances. This leads to Thack’s destruction, i.e. the death of a child patient. This leads to Zuckerberg’s loneliness and Jobs’ spoiled relationship with his employees and family. They have the same God complex as all the rest, and they’re creating a world quicker. What Ex Machina posits is, in a networked world, that lack of patience can let the genie out of the bottle without any of us even knowing it.